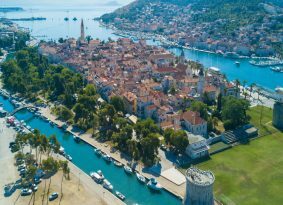 Color your day with UNESCO cities Split and Trogir. 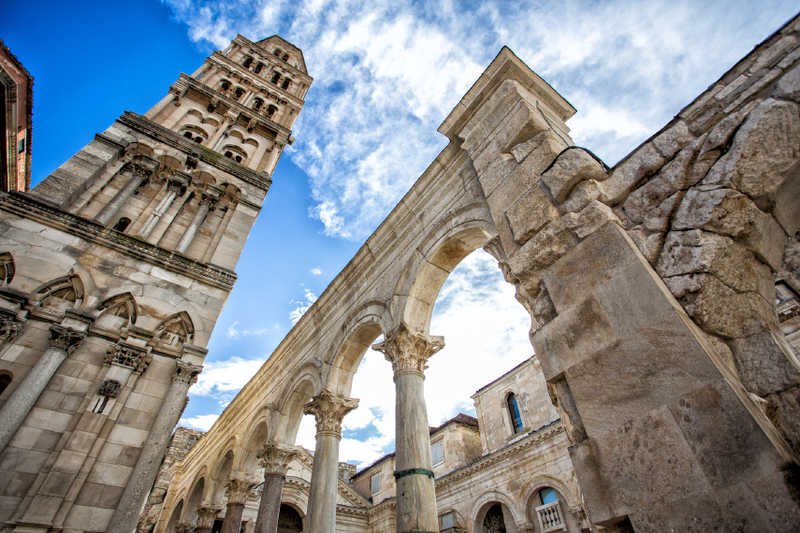 Take a walk through history and see the development of Split from the ancient Roman Empire to the present day. 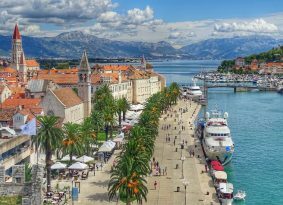 The City of Split, currently the largest Dalmatian city and port will reveal its 1700 years old secrets to you. 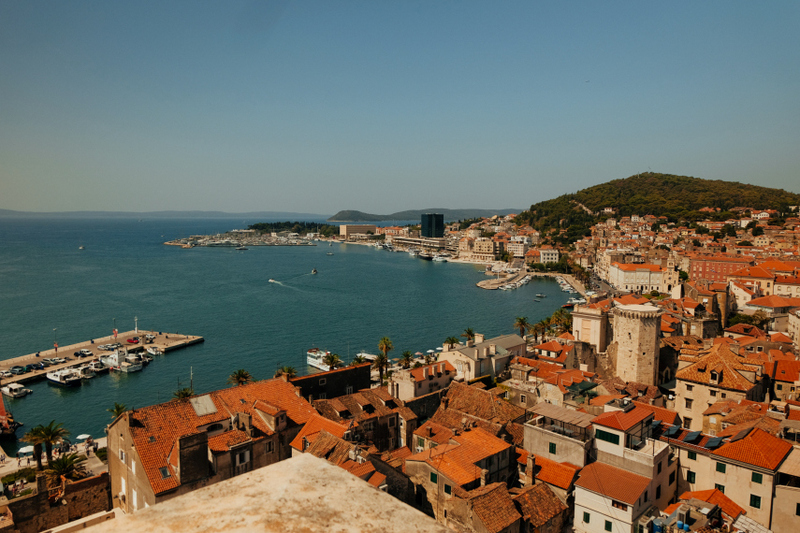 Every single stone of this city has its own story that will be whispered to you if you only listen closely. 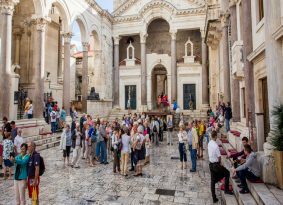 Walk around the narrow streets of Diocletian’s Palace, visit the ancient Peristil Squares . 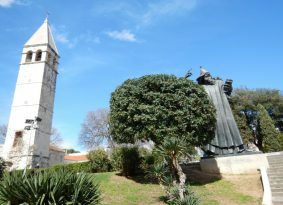 Visit the ruins of his private chambers, his mausoleum which is the city Cathedral today. 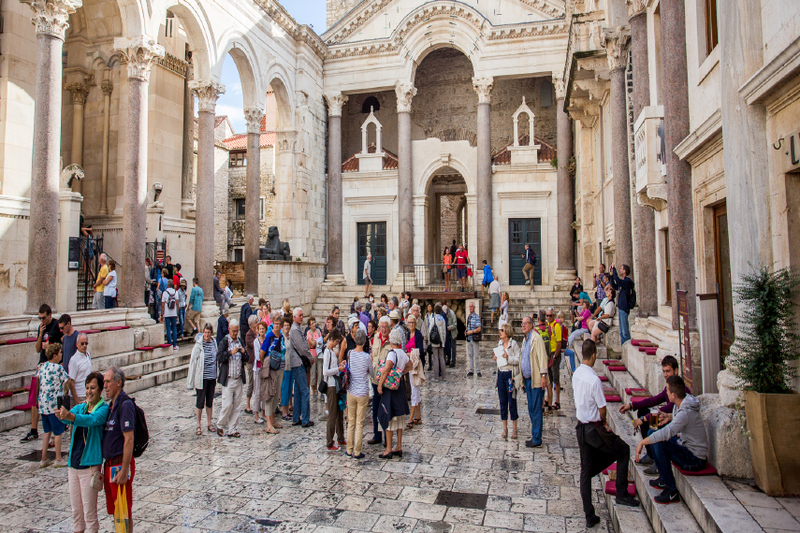 Let our guide lead your way through the Palace and then out of it to show you the further development of the city. 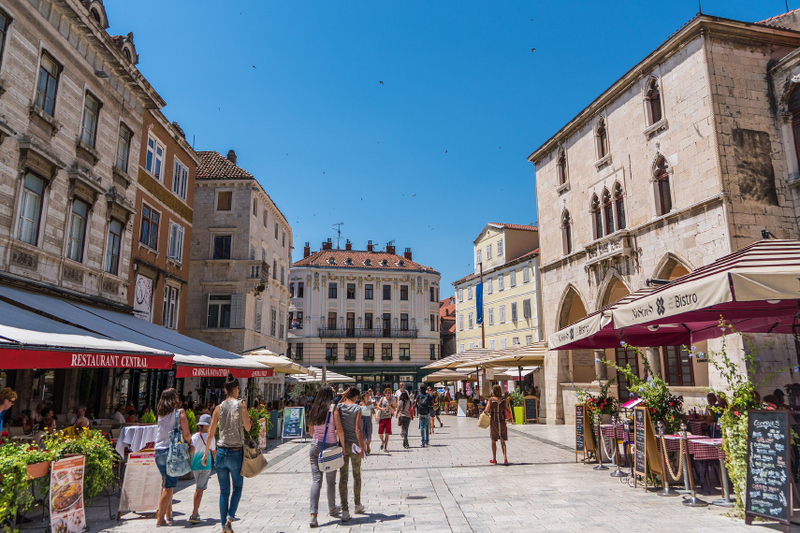 You can spend your free time on Shopping , taking pictures or just walking around and breathing in the history. After a brief time-out, we will continue our journey through history towards Trogir. 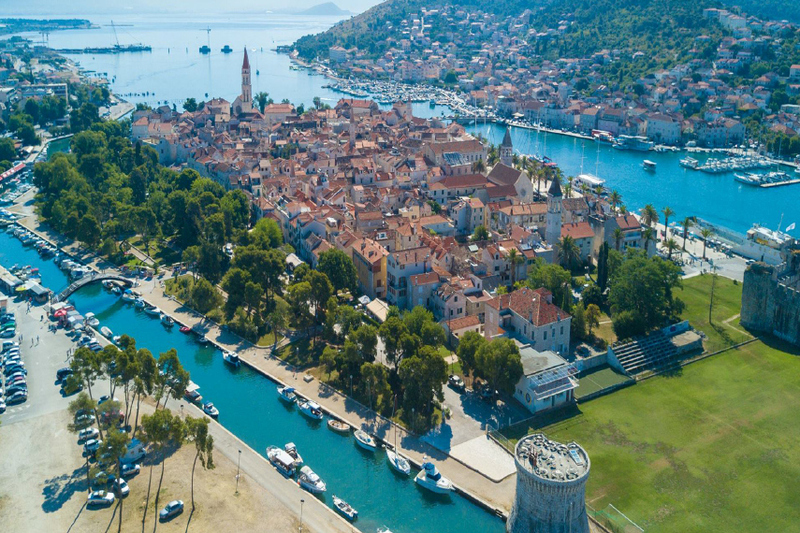 Small well preserved town sandwiched between Croatia’s mainland and the island of Čiovo. 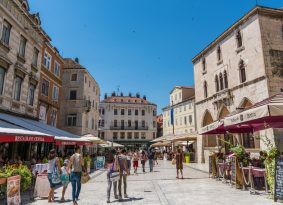 It is hard to find another town on the Mediterranean as small as Trogir and as rich in respect of the cultural heritage. 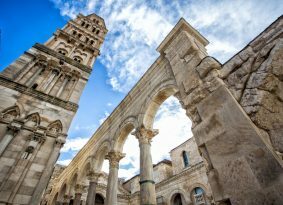 This fact was noticed by UNESCO back in 1997 when Trogir was included in the UNESCO list of World Heritage sites. . Admire an undeniable masterpiece of the Cathedral of St. Lawrence and the famous Romanesque Portal of Radovan. Book this UNESCO-colored trip now and insure yourselves to spend your holiday learning and having fun at the same time! 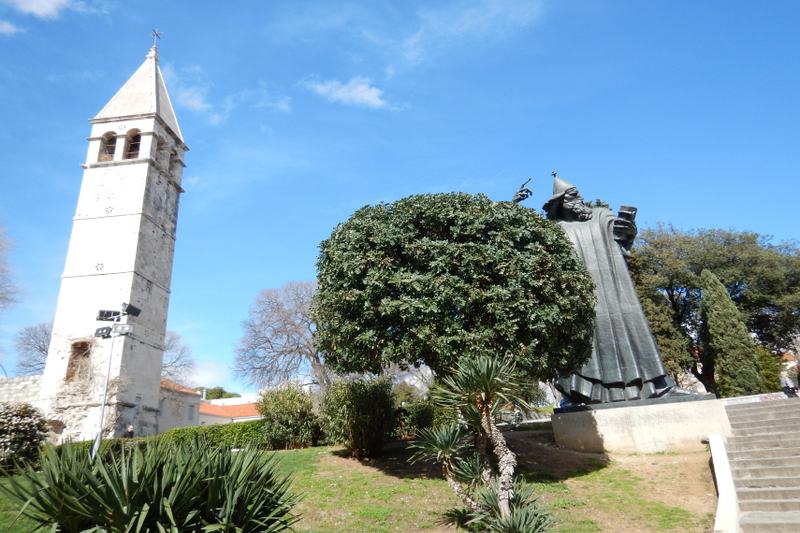 Half day excursion by bus to two UNESCO cities on the coastline of Central Dalmatia. 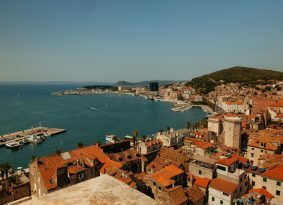 Acquaint yourselves with the evolution of these two Dalmatian cities from the Ancient Times to the modern.